Capsule particles package live yeast and live enzymes, respectively. 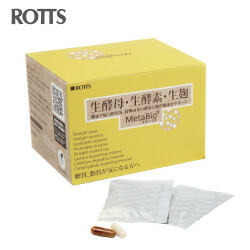 This product is a health supplement that improves body metabolism and breaks down sugar. Live yeast can help us break down the sugars and lipids we eat into water and carbon dioxide acetic acid. Live enzymes are indispensable for maintaining vital activities such as digestion and metabolism.